Comprising a ground floor 70 seater restaurant and take-away. Dual access from Amien Street and Foley Street. Extending to approximately to 411 sq. m (4,424 sq. ft) in total. Let to Foley Street Restaurant Limited. Current rent reserved €36,000 per annum. Dublin 1 forms part of Dublins busiest shopping and tourist locations, it is located immediately north of the River Liffey and east of Smithfield. The area is serviced by numerous public transport facilities including DART, Luas and Dublin Bus with access being provided by the Port Tunnel situated approximately 3km to the north east. 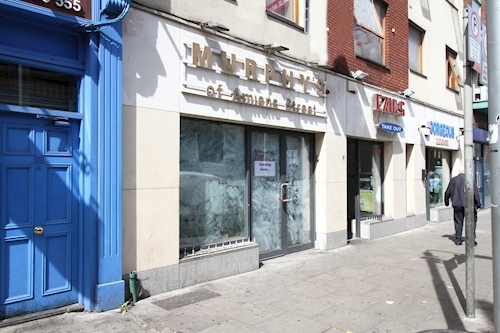 The property is situated on Amiens Street, adjacent to Connolly Station. Surrounding occupiers include Saigon City, Amiens Street Locksmiths and North Star Hotel. The property is arranged over basement and ground floor to provide a mid terrace restaurant unit. Internally the property comprises a 70 seater restaurant and take-away unit at ground floor and the basement is finished to a shell and core specification. The property forms part of a mixed use building with residential overhead. 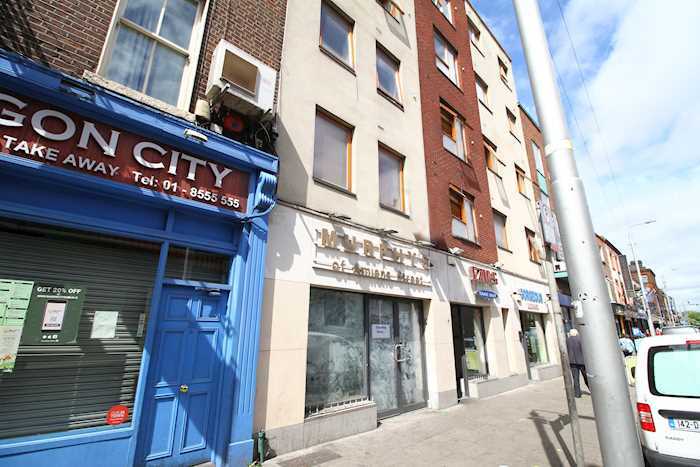 The property benefits from dual access from Amien Street and Foley Street. Total floor area extending to approximately 411 sq. m (4,424 sq. ft). We are advised by the Vendor that the property is currently undergoing renovation. For the avoidance of doubt the upper floors are not included in the sale. The entire property is at present let to Foley Street Restaurant Limited for a term of 10 years from 24.04.2015 at a contractual rent of €36,000 per annum, exclusive of rates and VAT. The lease provides for rent reviews on the 4th and 7th year and contains full repairing and insuring covenants. The lease provides for a tenant break option on the expiration of the 3rd and 6th year, giving at least 12 months written notice.